Mercedes to Lamborghinisa��sportscars that can give the Audis some competition . If youa��re not a big Audi fan and still want a great supercar in the same price range as the R8 V10 Plus Coupe, these options should get you drooling. James Bond fans will lean towards the Aston Martin DB9. With its iconic design and legendary performance pedigree, it has 470bhp from a six-litre naturally-aspirated V12 engine, which can accelerate up to a top speed of 306 kmph. When it comes to performance, it may be slightly slower than the Audi, but therea��s no doubting its everyday practicality, which comes with all the bells and whistles and a decent boot space. Rs 1.9 crore (ex-showroom, Chennai). If there were a pretty picture of the prim and proper, it must be that of Aishwarya Rai. Politically correct to a fault, every pose and every smile is made for the fawning press. So when the porcelain goddess of perfection a�� some would say plastic a�� committed a fashion faux pas by sporting purple lips, the internet quaked with laughter. It was the equivalent of a Black Rolls Royce trying to look very blingy. Naturally, the trolls on Twitter had a field day. The jabs flew thick and fast. a�?Did she binge on jamuns? Did she feast on Black Currant ice cream? Did she kiss a Smurf? Is Asian Paints her sponsor?a�? asked her not-so-well wishers. In the melee of taking pot-shots, everyone forgot that the decision to flaunt a bold shade was that of La��Oreal, the brand that showcases Ash at Cannes. Barbs aside, the purple experiment got immense coverage. Not sure if Aishwarya benefited from it, though. Methinks the brouhaha had very little to do with the hue, but was more about chucking pies at a star who has positioned herself as the epitome of grace. But some are of the view that mean tweets from armchair critics is a form of a�?celebrity bashinga�� and it stems from a�?pure jealousya��. If one takes director Mahesh Bhatt seriously, he believes ita��s the national sport of India. One research that can shed a little light on the topic was conducted recently by the learned folks at Beihang University in China. The study probed over 70 million tweets from 2,00,000 users and explored the question: which is the most influential emotion on social media? They put four emotions under the microscope a�� sadness, disgust, joy and anger. The findings were quite surprising. For people who are used to the adage a�?good news travels faster than bad newsa��, herea��s the real deal. Apparently, anger is the one emotion thata��s super contagious. It instigates people to act, retweet, share or behave like jerks by joining the a�?Who Can Be Nastiera�� fest. Honestly, I was not at all surprised with the findings. Celebrity bashing is a manifestation of an inner anger. Ita��s the same rage that fuels communism. We, the social animals, hate other social animals who are far more successful and this makes us do stupid things. Even if it means bashing someone black-and-blue over the colour purple. One of the most happening cities on its way to the world canvas, Hyderabad is buzzing with activity at all times. So much that even when we pause at intersections during the rush hour, we are still given work. I mean by beggars at every block who flock around cars and bikes persistently, begging for alms.A�Ita��s not just mebut every Hyderabadi tastesA�this nagging every day. I read recently that the City Mayor is all set to get beggars off the street. We have seen how they were off streets when US President came to visit us a few years ago. We wanted to flaunt a developed city and get a pat on the back.A�One of our previous Mayors tried to solve the issue earlier, but in vain. Frankly there is no humane angle that justifies them on streets merely because most of them are beggars by choice. Notice how healthy and able they seem? 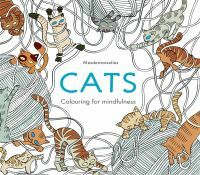 Have we not noticed shabbily clad, almost in a ‘costume’ woman with her hands bandaged and fresh Dettol on it and head tilted and nodding with a face full of despair pleading away? I know that is a lot of detail to recall A�but the best part is that evenA�six months later,A�her wound willA�be fresh and she will look the same. Surprisingly, we find this batch of beggars with the same costume inA�almost all high-end pockets of the city. It is as though they wake up, put on make-up and leave. No wonder that my neighbour’s three-year-old daughter wanted to dress as a a�?beggar’ for her fancy dress in school. Unlike other cities we actually have our own signature beggar costume that haunts us the moment we pause at the traffic light. Now just in case anyone wants to plead on their behalf about poverty and unemployment, let us understand that this is an organised racket that operates professionally. Most are street-smart, savvy and know their target audience. Most beggars choose cars with kids for the additional emotional drama. Fancier the car, more the number who flock at it. How do we deal with it? Well, roll your windows up and pretend not to look. Please contact the Mayor for further assistance. It seems he has an idea sir ji. Before you judge me, I have a heart too, but it doesn’t go out to these people. DJ and music producer, DJ Zaeden is known for his remixes like Magic by Coldplay and Animals by Maroon 5. 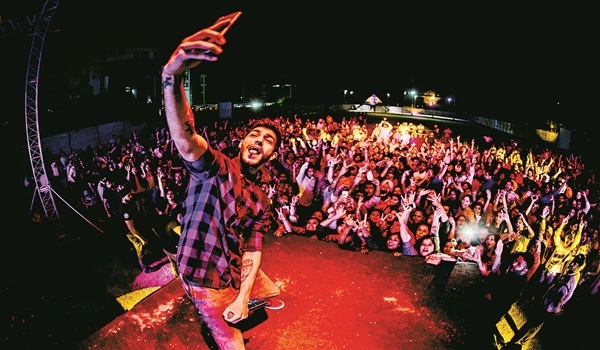 The youngest Indian DJ to feature at the Tomorrowland alongside Borgeous, this 20-year-old remix king will be in the city for celebrating the World Music Day with Anish Sood, a veteran at Sunburn festivals. With a few new singles lined up, Sahil A Sharma a.k.a DJ Zaeden, who would be touring Europe in July and August, says, a�?I’ve been producing progressive house so far. My last single and two remixes were progressive house, but I’m excited about my next few singles coming out this year as I’ve tried something different from my style.a�? Describing his music as a�?fresh, simple and expressive,a�� he reveals, a�?My next single is going to be out on July 29 on Spinnin with Nina & Malika.a�? Eternally on a a�?I-am-running- out-of-timea�� mode, the DJ is always away from his family. However, his Hyderabad visit has a personal factor too. a�?Ia��m excited to meet my brother Sanchit who is studying in Hyderabad. I havena��t seen him in a while. Besides this, Ia��m looking forward to the show at Hard Rock Cafe and of course, Paradise biryani.a�? Whata��s common to TV actor Parth Samthaan, standup comedian Kenneth Sebastian, singer Mohit Gaur and DJ Lil – B? The passion to perform and entertain. The foursome from four different lines of entertainment are coming together for Wingding 2016, a live concert by Leo Entertainments and White Pearl Events promises to give the city a new spin this weekend. We talk to each of the four artistes about what they have to offer to the city. The Kaisi Yeh Yaariyan actor who would be also making his Bollywood debut this year would be one of the highlights of the evening. 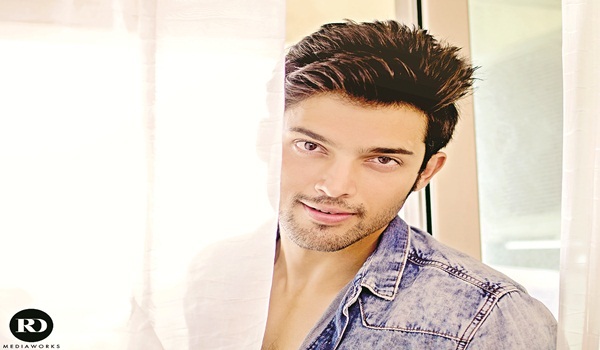 Rated as the 11th sexiest Asian, Parth is looking forward to meeting his fans on Wingding. a�?I love Hyderabad for its hospitality and food. I would be meeting one lucky fan who wins the competition during Wingding,a�? he adds. The organisers have initiated a lot of competitions on their Facebook page where one fan would get the chance to meet Parth on the stage during the event. Besides his singing prowess, he says he would also showcase some of his acting skills. Creating her music from the past 10 years, DJ Lil B was roped in as the official DJ for IPL Extra Innings in 2015. Beginning her career at 15, she was known for her hip-hop music. 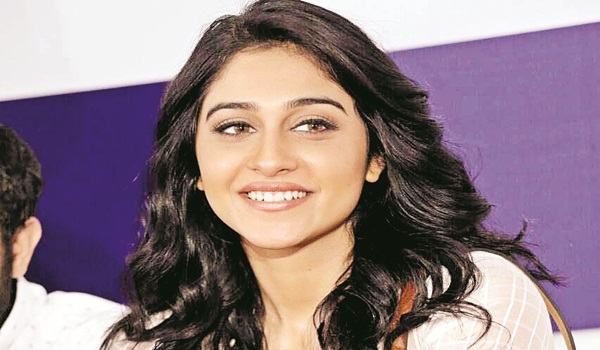 However, she is now known for her Bollywood numbers across the globe. Expecting sheer fun in Hyderabad, she says, a�?I am coming with an open mind and all I want is energy from the crowd. I am going to play for the crowd and I am sure I would play every song that would help them burn the floor.a�? She is the only commercial female DJ in India to spin a complete digital set using Ableton Live Interface, MOTU soundcard and Vestax VCM600 midi controller for her meticulous sets. This stand up comedian needs no introduction. Better known as Kenny Sebastian, he is not just a comic but a singer, writer, painter, music composer, graphic designer and a film editor too. a�?I am also trying hard to get into motorcycle riding and racing if time permits,a�? he says. He has always managed to tickle his audiencesa�� funny bone whenever he has performed. 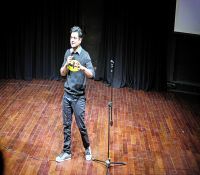 The comedian is expecting nothing but a a�?warm crowd who wants to have a good time.a�� Kenny also promises to deliver new content which will have a lot of crowd interacting session. 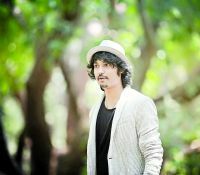 Known for his energy on stage, Mohit Gaur, who rose to fame with his song Cupcake says, a�?I want this show in Hyderabad to be like a mad house. I want the crowd to sing with me when I am singing and dance with me when I am dancing.a�? Mohit would be coming to Hyderabad for the second time and he says he wants to explore the city. a�?Hussain Sagar is in my to-do list. 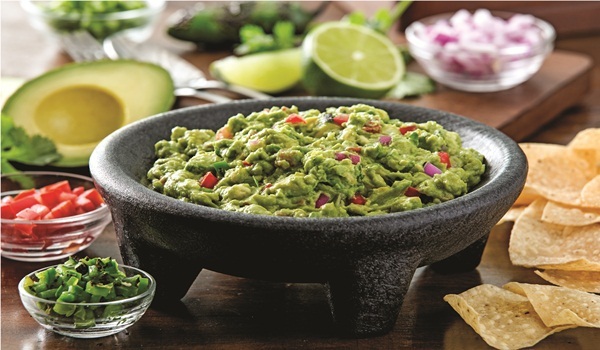 I am a foodie and would love to eat from the streets of Hyderabad,a�? he smiles. Bakhoor, cultural history tells us, is being used for centuries in the Arabian peninsula both by the royalty and the prophets. 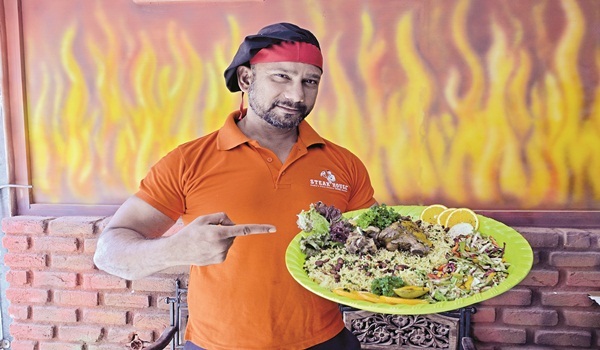 Bringing this tradition in food, chef Inam Khan of Steak House, Banjara Hills, sources chips of Bakhoor and prepares Bakhoor Mandi. Nowhere else, Mandi, a dish of meat, rice and spices that originated in Yemen, has been prepared with this fragrant wood. And he is launching this dish in his restaurant a week before the Holy Month begins. Noteworthy is the mention of Arwa Suleyhi, Queen of Yemen, who would send the perfumed wood as gifts to Najaf, Egypt, Karbala and other parts of the surrounding topography. During the Holy Month of Ramadan, Bakhoor would be burnt and people in distant cities would know that the gift of scent has arrived. As we talk to the chef, a huge mound of yellow rice arrives, atop which sits a large piece of tenderly cooked mutton sprinkled with browned onions, fried nuts and raisins. The sweet fragrance catches the other guests unawares. The aroma is of Bakhoor. And the Mandi is made with that. Shares chef Inam, a�?I soak the wood chips in milk in which saffron has been dissolved, put it in the fridge and then take it out the next day. The chips go in the burner while the milk is added to Mandi when it is half-cooked.a�? The meat that he chooses for the dish has to be really soft and succulent and for this he selects goats that do not weigh more than five or six kg. He shows us the wood chips in two colours. One which is black and is sold for a whopping Rs 1 lakh and the other variety, dark brown priced at `10,000. a�?The wood is mostly used in scenting rooms, but this is the first time anyone is using it to cook food. Surprisingly this wood grows in North East of India and not many people know about it,a�? shares chef Inam. But then possibly, in ancient times, through merchants and travellers it reached Middle East and became popular. Mandi is usually cooked in a pit. But he makes it on burners in his kitchen. He uses a heavy-bottomed pan. Along with rice, spices and meat, he adds vegetables like carrots, tomatoes, bell-peppers and onions to extract the flavours. He adds, a�?I marinate the meat with fruit juices and chefa��s special mix of spices. 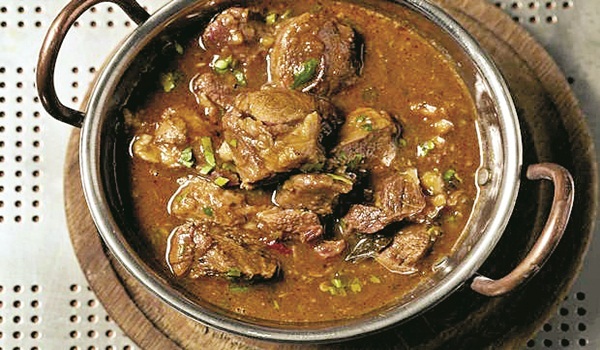 Spring lamb of five kg is cut into 12 pieces and then cooked for three to four hours.a�? Bakhoor can be ordered online. Ability was the keyword this week. Model Shilpa Reddy and actress Regina Cassandra did their bit at the Ability Unlimiteda��s event at Iorbit Mall where the Aditya Mehta Foundation felicitated differently-abled champions. It was heartwarming to listen to their gritty stories on how they overcame their limitations. Summer is almost ending and in a week or two, schools in the city are set to reopen. Radhika Agarwal of Memories, an event management company, has come up with a pool party where parents and their children would bond. The curtain raiser had models Pratyusha and Preity telling us about the initiative that would also raise funds for a charity. Ita��s been a year and SodaBottleOpenerWala, the Parsi eatery in Jubilee Hills decided to get over the mid-week hump with a Daruwala weekend first birthday party. The invite to the event read: a�?No presents, only your presencea��. It was a three-day celebration that began with DJ Rishabh Jain took over the console on day one on Wednesday. Kshamita looked cool and casual in a one-piece floral outfit at the party. Day two had author Clement DeSylva reading out from his latest book Bandra Buggers. A live band performance will mark the wrap up on Friday, we are told.